Looking to keep your body, skin and overall health as energized, youthful and vibrant as possible? How you take care of yourself now determines how you look and feel later, so read up for 6 anti-aging tips for internal and external health. Throw on a hat when outside for extended periods, and be sure to cover your skin–especially your face–with sunscreen to prevent sun spots, dryness, wrinkles and premature aging. Yes, the sun provides the body with much needed Vitamin D to support good health, however a quick 5-10 minutes of unfiltered sunlight is all it takes to get your recommended daily dose. Plus a diet rich in wild-caught salmon, mushrooms and eggs yolks are excellent sources of vitamin D.
Employing the help of a professional to assess the current state of your skin and provide insight and recommendations for a good skincare routine tailored to your needs is great way to keep your skin glowing and youthful. Whether it’s an esthetician, a department store beauty consultant, online searching or a hip new skincare app, there are plenty of ways to get the support and information needed to understand the needs of your individual skin. 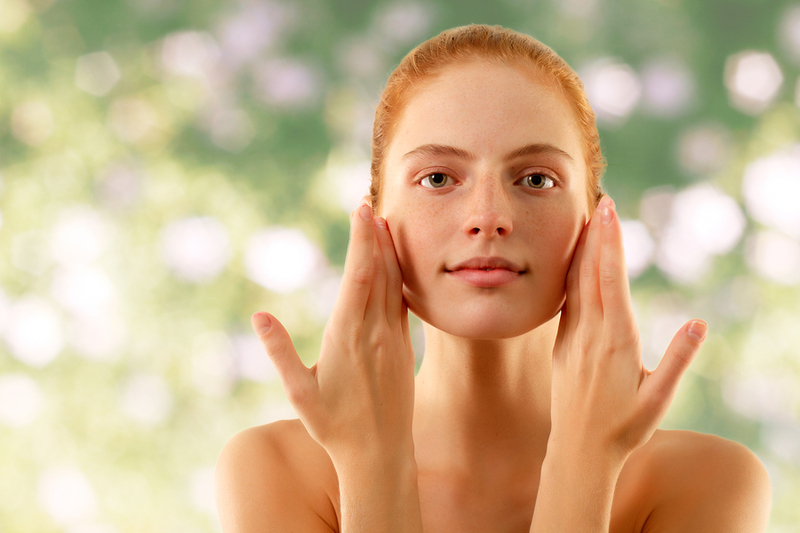 In general, getting regular facials paired with daily face washing that’s followed by a serum, eye cream and moisturizer on a daily basis is a good routine to establish. For specific products as well as any additional anti-aging services, research and/or a consultation with a professional is the way to go! In 2 words: Stay away! You hear it all the time, and it’s so important it bears repeating: Hydrate, hydrate, hydrate! Keeping your insides AND your outside layers moisturized is essential to anti-aging health. The body– including mental alacrity, energy, digestion and metabolism–functions so much better when properly hydrated, PLUS keeping your skin well moisturized keeps skin cells soft and youthful, with wrinkles less noticeable than their drier counterparts. Not only is physical activity good for internal cardio health, muscle tone and weight management, elevating your heart rate also boosts external health and appearance by moving much needed oxygen and nutrients throughout the entire body. You know that post-exercise glow that makes you feel and look years younger? Focus on that the next time you’re having a hard time staying motivated to move your body. Here’s the best anti-aging advice around: Avoid refined sugar and avoid processed foods. Not only do they age your skin, they also lead to weight gain, a sluggish metabolism and chronic health problems. The solution? Clean eating! Focus on foods in the the most ‘whole’ state as possible, load your plate with fresh vegetables and fruit, drink plenty of water and green tea, and don’t forget to throw healthy sources of Omega 3 fatty acids in there from walnuts, salmon or herring to help the body fight free radicals that age your body inside and out. Categories: Beauty, Health and Wellness, Holistic Health, Preventative Health | Tags: anti-aging skincare routine, anti-aging tips, Eat Clean Health, health benefits of food and exercise on skin, jodi geigle, sun protection for healthy skin | Permalink. Jodi Geigle is a board certified nutrition and wellness professional highly experienced in nutrition counseling, wellness program creation, effective client behavior modification, corporate wellness and large scale team leadership with an emphasis in operations, technology and start up culture. Jodi has been featured in Women's Running, Active.com and MindBodyGreen.